The following advent reading is from All Is Bright by Nancy Guthrie. Bethlehem was a small and unimpressive village, but the prophet Micah had given an amazing prophecy about this little town. “You, O Bethlehem Ephrathah, are only a small village among all the people of Judah. Yet a ruler of Israel will come from you, one whose origins are from the distant past. . . . And he will stand to lead his flock with the Lord’s strength” (Micah 5:2, 4). It had been over four hundred years since Micah wrote this prophecy. The Jewish people knew this prophecy, and they knew that the Messiah would be a descendant of King David, who was from Bethlehem (1 Samuel 16:1). But even so, many people of Jesus’ day were surprised that their Savior would be born as a baby in such a small, unremarkable village. For some reason, people tend to be surprised when someone from a small town accomplishes something of true greatness. We have a tendency to think that for something or someone to be significant, the idea, the business, or the person must be born and raised in a major city or a well-known place and must be from a well-known or well-off family. When God sent Jesus, he turned upside down every expectation of what people thought would make him great. Jesus came as a baby instead of a grown man. He was born to ordinary parents, not people of prominence or power. He came as a humble teacher rather than a conquering king. And he was born in an obscure little town rather than one of the great cities of the day. This tells us something important about how God chooses the people he will use and bless. He doesn’t choose on the basis of accomplishments or reputation or worldly value. God chooses to use simple, ordinary things and people so that he is the one who gets all the glory. 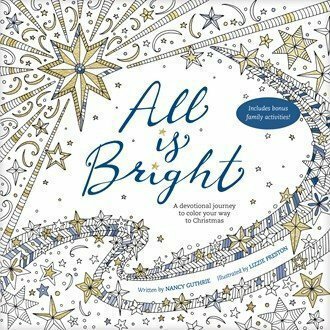 For more advent readings and coloring pages, click on the All Is Bright Cover to download the sampler.